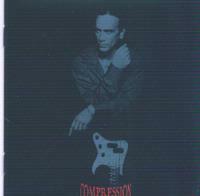 Billy Sheehan is a bass legend, and, of course the bass work on this disc is very very good. Interestingly enough, so is the guitar, drums and vocal work. Even more interesting about that is the fact that Sheehan is responsible for the majority of that as well. He does all the instrumental work, vocals and drum programming on the disc with the exception of a few small cameos by people like Steve Vai and Terry Bozzio. He also wrote all the material. The result is a very coherent and well-performed album that really touches in the harder edged prog sort of genre. In fact, whether this belongs in the progressive rock section or not is debatable, but I am including it here since Sheehan has played in at least one or two prog outfits. Starting in a hard-edged Rushish sort of mode, as it moves into the verse, the style is more straightforward hard rock. The instrumental break on this one is particularly strong. Beginning with one of the coolest and most challenging sounding rhythm sections (bass and percussion), this song rips forth from there. It is a quirky hard rock exploration. It features a great percussion segment to end it. This one comes on just a bit generic, but still rocks out pretty well. With a more melodic, almost cowboy balladish feel, this cut is a fairly strong one. With a really cool texture, this one again feels just a little Rushish. The guitar solo break takes on a very Eastern sort of texture, and the bass begins building on that mode, trading licks with the guitar. Coming in hard edged, dramatic and just a little mysterious, this is a good solid rocking number. This one comes across with a modern rock sound and it does a very good job at that. Based on a great rocking groove, this cut has a killer arrangement. A slower cut, this one is a nice change of pace. The chorus is particularly effective. It is definitely one of the stronger cuts on the disc. Starting fast and frantic, a slower bridge adds a great twist to the piece. This one is definitely guitar-based prog and really has a great arrangement. Lyrically it seems to call to mind the '60's work of groups like Jefferson Airplane. The break on this is great. This one is a mellower mid tempoed number and is a rather accessible cut.